Looking for a reliable GPS or GLONASS receiver solution? This u-Blox chipset receiver is exactly what you need. U-Blox offers the latest in next generation GNSS technology with superior position accuracy in urban canyons. 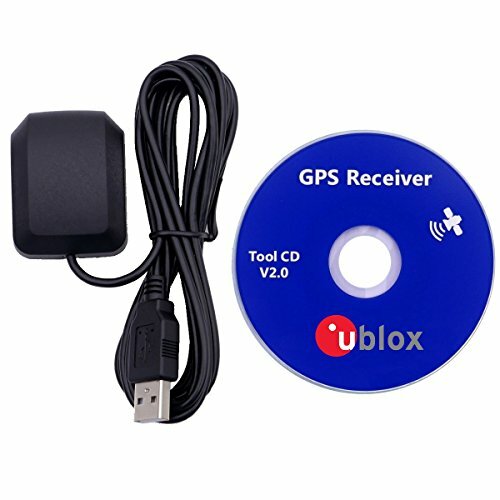 They also offer free U-Center GNSS evaluation software that can be downloaded from the u-Blox website. The U-Center software loads your device driver and includes extensive configuration and control features with real time display of your GNSS receiver. UBLOX 8 ENGINE: Uses u-Blox protocol specification to configure device over serial interface. Combines low power consumption and high sensitivity. Exceptional jamming immunity. 56 channels for fast acquisition and reacquisition. COMPATIBLE: Windows 10, Win 8, Win 7, Win Vista, Win XP 32bit or 64bit. For Linux, please check uBlox application notes on compatibility. Free GNSS software available. SOFTWARE: Easily connects to your laptop via USB 2.0 and works with most commercial or open source mapping software including Google Earth, Windows Maps and Open CPN. If you have any questions about this product by QGP Supply, contact us by completing and submitting the form below. If you are looking for a specif part number, please include it with your message.